Enjoy your morning coffee or dinner al fresco on the spacious wrap-around porches of this light and breezy, fully-renovated house close to the Malecon in Esperanza. Featuring a modern, fully-equipped gourmet kitchen with granite counters and stainless appliances, a gas stove, dishwasher, eat-in bar, and high ceilings with fans in every room, Casa de Pepito was designed to take full advantage of the prevailing breezes. Sleep soundly in either the Coqui room with king bed, dressing room and private bath, or the Tortuga room's queen bed with private bath, all furnished with pure cotton bedding and thick cotton towels. While the trade winds keep the house cool on most days, the bedrooms are air-conditioned for sleeping comfort on warmer nights. Numerous fine restaurants, shops, bars and night life, a small grocery and local bakery, as well as water sport rentals and world famous Sun Bay Beach are just a short walk away. There is also a lovely park close by with a children's playground, adult workout equipment, a jogging path, picnic pavilions and public bathrooms. 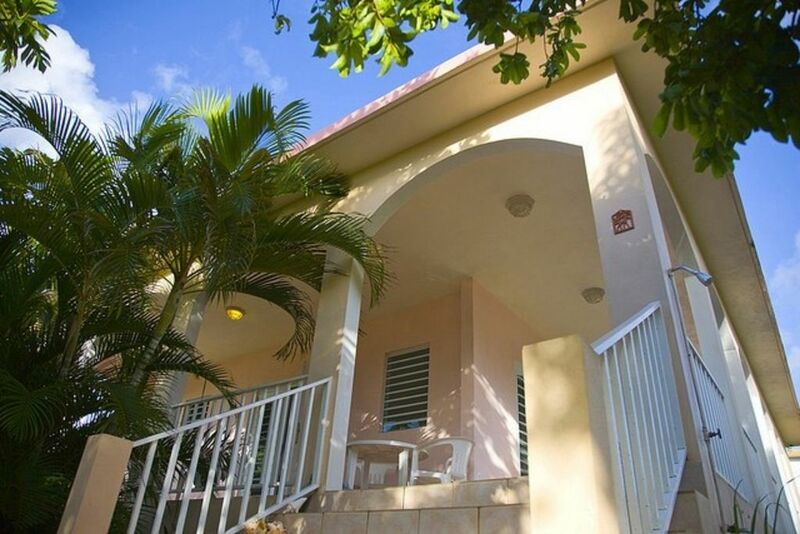 Casa de Pepito is equipped with beach chairs, towels, umbrella, and coolers; beach toys and snorkel equipment; books, games, puzzles, a flat screen TV with a small DVD library, WiFi/Internet, and a CD player with a collection of CDs. The two spacious bedrooms with en suite baths make this house ideal for 2 couples or a small family. And because you can walk to just about everything, you won't be stranded at home if someone else takes the car to a remote beach for the day. It's both the perfect central location to explore the island from, and the ideal place to just hang out on the porch reading, or stroll down to the waterfront for lunch, a drink, or a little shopping. Our house is in a wonderful neighborhood, with a lively mix of local Viequenses, American and European expats, and several local artists. Just, smile, wave, and say "Hola!" and you will become an instant part of our local Esperanza family. A short walk to the waterfront, restaurants, bars, shops, small grocery and bakery, Casa de Pepito is located in a safe, friendly neighborhood in the small Caribbean village of Esperanza. Walk to nearby Sun Bay beach. Take a night tour of the world's most pristine Bioluminescent Bay. And with a rental car you will be able to visit many more pristine Caribbean beaches, the museum and art gallery at Fort Conde de Mirasol (1845), the Playa Grande Sugar Mill ruins, and many more points of interest around the island.